As a startup, we are constantly developing our tech and growing our team to support it. 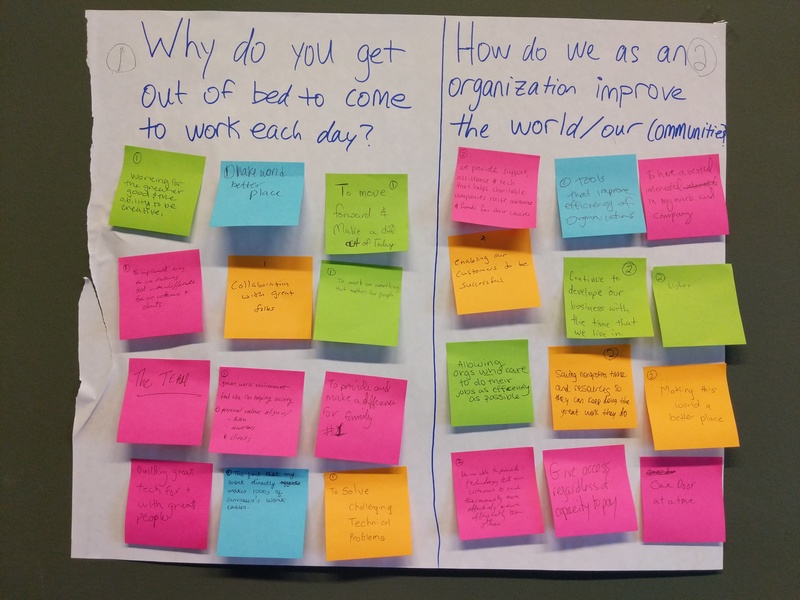 Our intern recently posted the following questions on the conference room wall, handed out post-its, and asked the team to anonymously place our answers underneath each question. The team’s responses were overwhelming and speak volumes about who we are as a company. 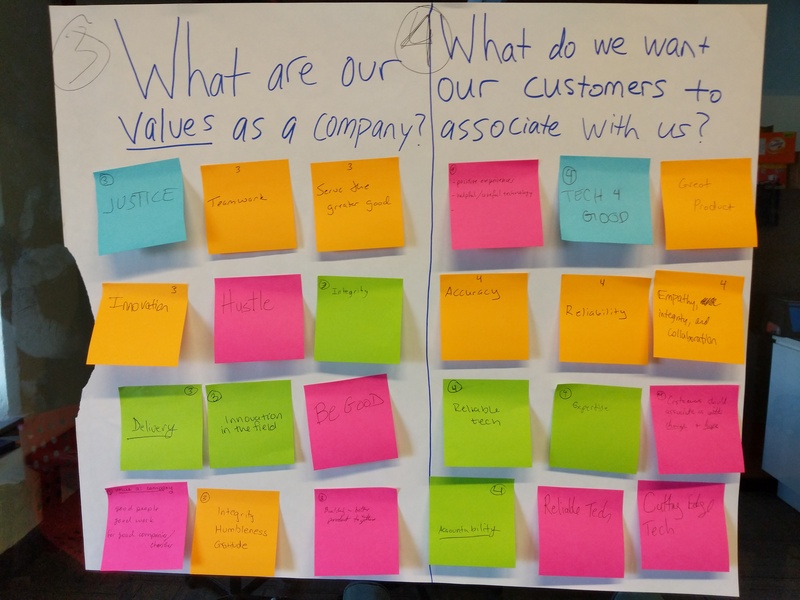 This exercises clearly demonstrates that our team upholds the same values that led our CEO to start this company; justice, integrity, serving the greater good, and above all else, reliable tech. My personal favorite question, “Why do you get out of bed to come to work each day?”. It seems likely that the responses to this question would be something along the lines of, “to pay my bills”, or,”for my family”, which are both valid responses. However, the answers our team gave to this question is what sets us apart; we believe in our tech, we get out of bed to make the world a better place. It is clear that the employees here at Grassroots Unwired care for the community and the non-profit organizations that we work hard for everyday. We aren’t just, “punching the clock”; there is passion in the work that each and every one of us do and we are grateful to do it.